On Sep. 9, Lifetime began airing their new show “You,” based on a book with the same title by Caroline Kepnes. It flew mostly under the radar, generating very little attention. This quickly changed when Netflix purchased exclusive rights to air and continue producing the show from Lifetime, where it debuted on Dec. 26 and became a viral sensation. 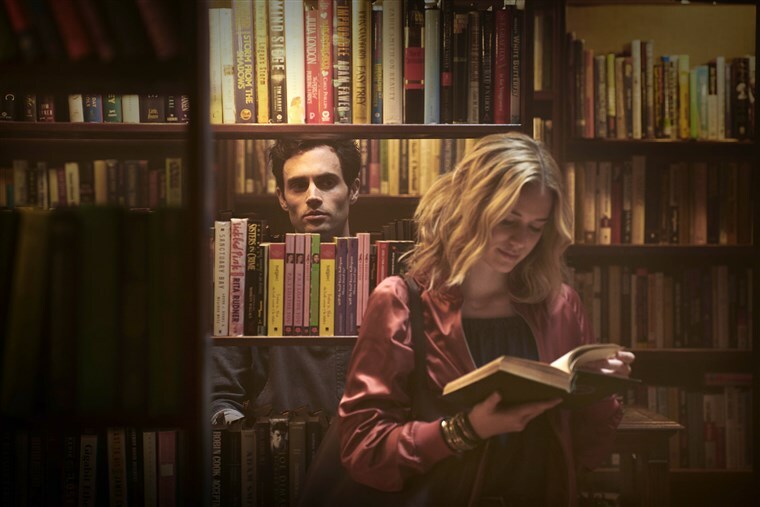 “You” is a psychological thriller focused on Joe Goldberg (Penn Badgley), who falls in love and begins stalking a customer at his bookstore, Guinevere Beck (Elizabeth Lail). The most interesting thing about “You” is the presentation of its lead character, Joe Goldberg. If this show was presented from the first-person perspective of anyone else or in the third person, Joe would come across unambiguously as a terrifying stalker. However, as a result of his first-person perspective throughout the show, the audience is given insights into the development of his character and his seemingly noble but twisted intentions in him doing what he does. This makes the show come across far more interesting than it would otherwise. However, this element that makes it interesting also ends up contributing to its biggest downfall. Joe and Beck is the central relationship that drives this show forward, and viewers see from the very beginning that it is all founded on lies, deceit and even violence. It is a relationship that the audience is supposed to root against but presented in a way that it is supposed to be rooted for. The intent appears to be to signify a dichotomy of the perspective of Joe and potential onlookers to the relationship, but it ended up feeling more generally uncomfortable. This can be perfectly effective in a show that is more sparing in these scenes. However, there were only really two continuing subplots outside of it, which seemed to ultimately go nowhere. Outside of the focus on their relationship and the stalking, the only major subplots are the relationship between Joe and his kid neighbor Paco (Luca Padovan) and the trials that Beck faces in her career, both of which end up feeling majorly inconsequential throughout the show and especially towards its ending. Regardless of what happened in these subplots, the ending would have gone down essentially the same way, which was very disappointing from a storytelling perspective. Despite these storytelling flaws, “You” remains mostly entertaining during its short season. Seeing Joe act in the ways that he did and his personal justifications for his actions were constantly invigorating, especially witnessing him being driven to mania as he went in over his head. However, the ending was incredibly disappointing. Shows can succeed with a terrible lead character that the audience is supposed to root against, but by the end of the first season of “You,” there was almost no one left to like. Every character was either long past the point of redeemability or written off. It is hard to watch a show when there is no one to like. Additionally, while there is a certain suspension of belief that should be applied in storytelling, the actions of Joe throughout the season simply piled up too much to be able to believe that he could not possibly be behind bars. The central hook of the show being given from the perspective of a stalker is almost enough on its own to keep it consistently entertaining. However, major storytelling flaws hold it back from truly becoming an engaging televisions show, and instead leaves it as yet another mediocre but viral television show that may be worth checking out for a weekend but will mostly be forgotten by Monday morning.